Captivate her heart with a radiant engagement ring set from Apples of Gold. 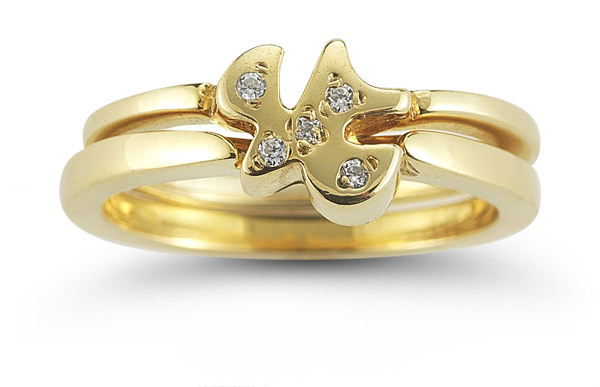 This exquisite ring set features a beautiful dove that brings faith into this piece by symbolizing the Holy Spirit. 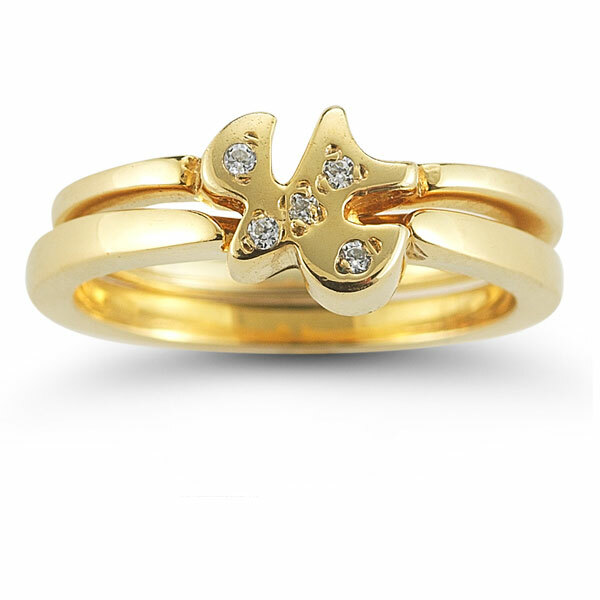 The dove is not only crafted of high quality 14K yellow gold, but it also features five brilliant diamonds. Each precious gem sparkles with delight and is carefully placed within the dove. 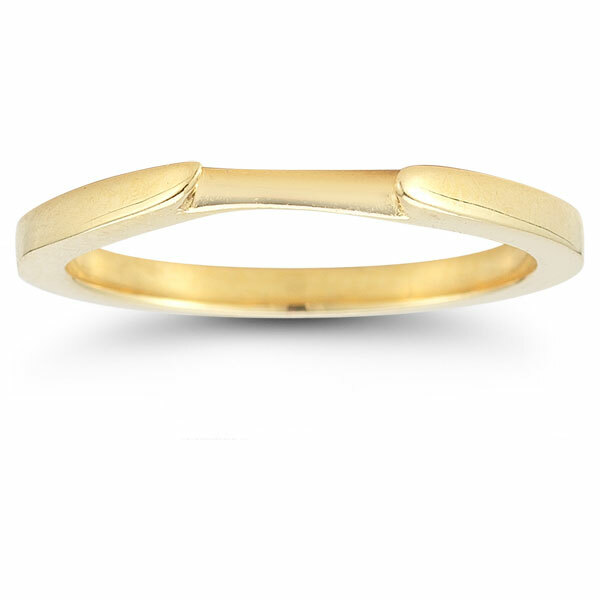 Two bands of 14K yellow gold wrap seamlessly from the dove around to complete the design. 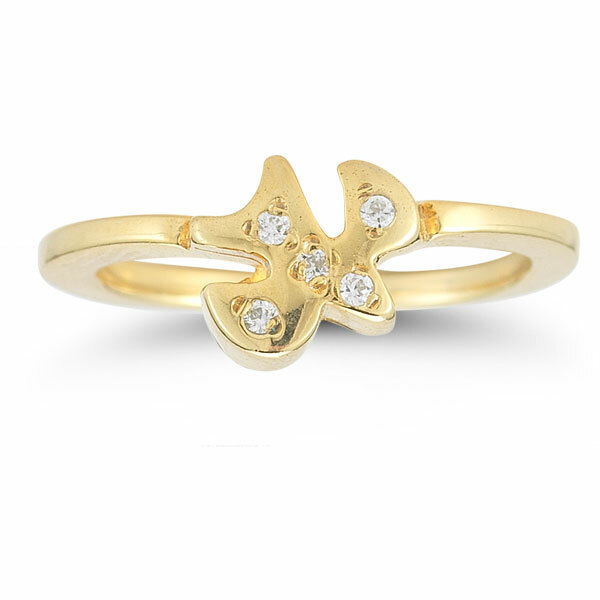 Apples of Gold Jewelry guarantees the Holy Spirit Dove Diamond Engagement Ring Set in 14K Yellow Gold to be of high quality and an authentic engagement ring with real diamonds, as described above.